Columbus has a wealth of restaurant weeks and lucky for us because there are so many wonderful restaurants to try. Dine Originals is a group of fifty plus independently owned local restaurants and their two annual restaurant weeks offer a wonderful opportunity to sample their wares. Spread over the fifty plus menus for Dine Originals Week there are plenty of tempting options. Here are a few things that caught my eye. Lunch menus are $10. If you haven’t tried it I recommend Katalina’s Mazatlan pork sandwich. It’s a substantial and satisfying sandwich, vegetarians can try their huevos rancheros. At Katzinger’s you can try the Rueben, their best selling sandwich ever along with soup and cookies. Deepwood offers lunch and dinner specials. Their lunch menu includes a classic french dip with soup or salad followed by cherry pie on a stick. Tasi Cafe offers a pork gyro with beets and skordalia appetizer, a former mainstay of the Rigsby’s menu. The menu that most piqued my curiosity was Skillet’s. It was the Farm stand ‘cracker jack’ salad that did it, with arugula, caramel corn and spiced peanuts, house curd cottage ham, Laurel Valley Creamery Cora and apple vinaigrette. Skillet’s $30 dinner menu offers five different entree selections and I would be hard pressed to choose. We visited Skillet for the November Dine Originals week and the hangar steak was phenomenal. I’m pleased to see it reappearing, this time paired with frites and tomato butter. The hard cider brined brick grilled Kidron chicken with duck fat crisped fingerling sweet potatoes also sounds good. Hungry_woolf twitter followers may have noticed I’ve been on a pie kick this winter and I’m a firm believer that pies are not just for dessert. There are quite a few pies on the Dine Originals week menus. At Tip Top Kitchen their $20 dinner menu includes a choice of either lamb or vegetarian Shepherd’s pie, and Shepherd’s Pie is also on the menu at Black Creek Bistro. 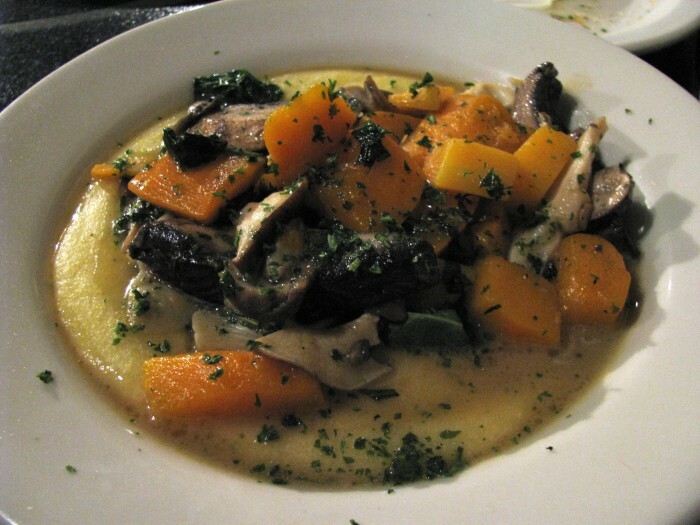 At the Burgundy Room the vegetarian option is an exotic mushroom pot pie. If pies aren’t your thing perhaps the molasses baked Neuske’s bacon with Maytag blue cheese and candied peanuts at G Michael’s with take your fancy, or the risotto with local roasted chicken, squash, Lake Erie Creamery Goat Cheese and Mushrooms at the Worthington Inn. Another restaurant week favorite is the Top Steakhouse for an elegant trip back in time. You don’t have to have steak, options include veal osso bucco or bacon wrapped scallops. Steak and chicken are as popular on menus as always, with plenty of fish and vegetarian options too, but braised short ribs win as the popular protein of the week appearing on menus at Rigsby’s, Basi Italia, L’Antibes, Luce Enoteca in Powell as well as on the Barcelona lunch menu. I was intrigued by the accompanying smoky mashed potatoes at Rigsby’s. Dine Originals Week is a great excuse to visit Pistacia Vera (not that you should need an excuse). 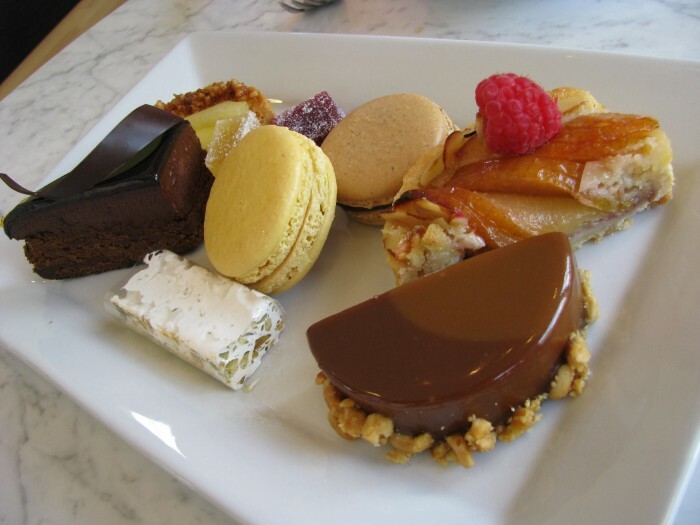 Their $10 tasting plate includes favorite items such as their chocolate bombe, pate de fruit, nougat and of course a macaron. Mozart’s (North Market & Clintonville) are also offering tea for two, or dessert for two. If you want an excuse to get out of town, Dine Originals has members outside of Columbus. Venture to Shaw’s of Lancaster, The Inn at Cedar Falls or the Short Story in Granville. The most interesting of the out of town options is the Oak Room at the Granville Inn. I’ve never been there but the menu offers a several choices and has lunch and dinner menus for Dine Originals week. At dinner you can add wine pairings for an additional $10.